Car accidents are more common than you may think. There were 34,439 fatal motor vehicle traffic crashes in 2016, and tens of thousands more nonfatal accidents. Do you know what to do if you are involved in a motor vehicle accident? Consider these steps below to be ready when you need to be. Always stop after a motor vehicle accident, even if you believe you are uninjured and even if you believe there was no damage to the vehicles. Leaving the scene of an accident can open you up to potential civil and even criminal liability. If possible, remove your car from the stream of traffic. Set up road flares or turn on your hazard lights to indicate the problem and direct other cars away from you. These steps can prevent further accidents. Keeping road flares, flashlights, and even small, popup traffic cones in your vehicle in case of emergency can be a good idea. This is a smart step to take even if you believe there are no serious injuries. You may need a police report in order to file a claim with your insurance company, and the police can facilitate the flow of traffic and the removal of your vehicle from the roadway if it can no longer be driven. Always prioritize medical attention at the scene of the accident. Acquire medical attention even if you feel fine, or if you don’t believe your injuries are serious. Often, serious injuries from motor vehicle accidents manifest themselves in the days or weeks after the crash. Prompt medical attention can ensure that any hidden injuries or ailments are noted and cared for, and documentation of these injuries can help with any claims you may need to make in the future. Most people these days carry a cell phone equipped with a camera. Use it to document the damage to your vehicle, any other vehicles involved, and any injuries. Avoid interfering with any official investigation at the scene; if you cannot take photos at the scene, take them as soon as practicable afterwards. 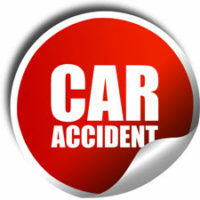 Obtain the name, address, and telephone number of each individual involved in the accident, both drivers and passengers. If there are witnesses, gather their information as well. Police can help gather this information for you, and may do so for the police report. Many policies require you to notify your insurance company as soon as possible of any accidents or potential claims. Contact your insurance company immediately to limit your potential liability and to get help immediately with your claims. If you are in a motor vehicle accident, you may want to consult a personal injury attorney for assistance. An attorney can ensure that your rights and interests are protected during the claim process. Further, they can assist you with dealing with your insurance company when it is time to make a statement regarding the motor vehicle crash. If you’ve been in a motor vehicle accident, The Stanley Law Group may be able to help. Call 803-799-4700 and request a free consultation today.